A few weeks ago, I interviewed Pamela and Kit for an article about Immunity Boosting Foods for Glo magazine. Among many healthful foods, both recommended Kale. I love Kale prepared in a variety of ways, but Kit shared a recipe for Baked Kale Chips, so we gave them a try last weekend. Jon was skeptical, but they turned out well; very light and crunchy. They make a great snack to have around the house. We served them as a side dish with Corned Beef and Roasted Carrots. Delish. Preheat oven to 350 degrees. Line a cookie sheet with parchment paper. With a knife or kitchen shears, carefully remove the leaves from the thick stems and tear into bite size pieces. Wash and thoroughly dry kale. 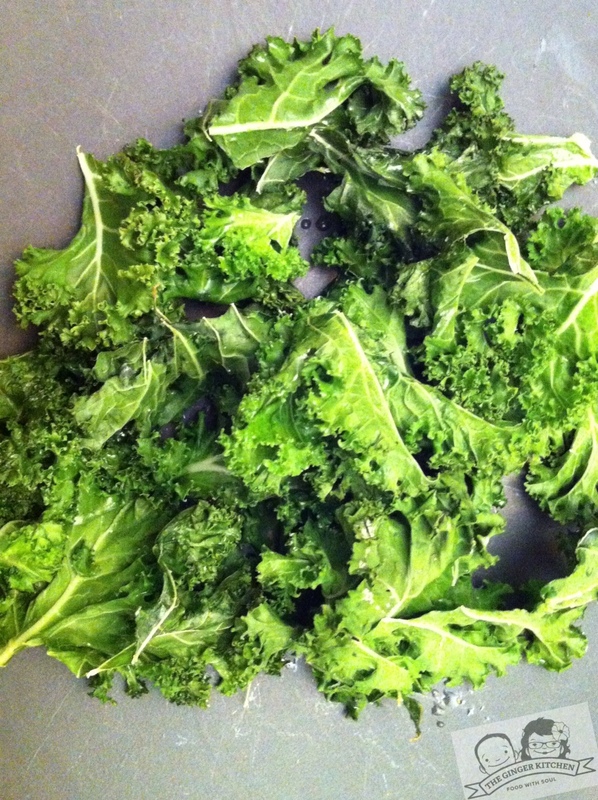 Spread kale onto cookie sheet, drizzle with olive oil and sprinkle with salt. Bake until edges brown but are not burnt, 10 to 15 minutes.